Starting or maintaining a gym routine can be difficult for anyone with a busy life, but people who cut out the gym and do their daily workout at home might have a better chance of sticking to the routine of getting fit. Whether you need a simple weight bench for rehab, gaining or maintaining tone and strength, or if you want to do some serious body building, having a weight bench in your home can make your fitness routine more accessible and easier to adhere to on a daily basis. Start by assessing your needs and the space you have for your weight bench. Do you need something simple or do you want something more complex? Will you use it every day or just once in a while? Do you have room for your weight bench to stay in one place or do you need something more portable or easy to store? Finally, be sure you are in good physical condition before beginning a weight lifting routine. The Universal 5-position weight bench offers -10, 0, 15, 30, and 45 degree angle adjustments to work your core and upper body. 5” foam rollers on the ankle bars provide comfort and safety, and the wide stability bars provide safety during your workout. 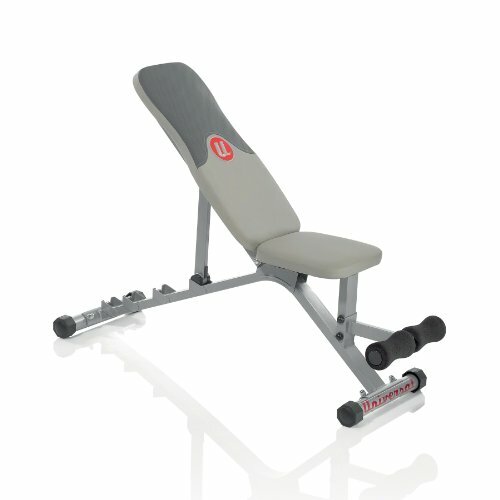 The contoured, padded bench and backrest provide a comfortable workout with greater range of motion for your arms. 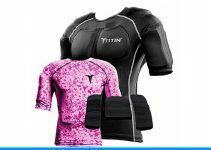 Maximum user weight is 250 pounds and a total of 430 pounds including user and weights. The Marcy Flat Utility Weight Bench is a solid, sturdy, durable bench for workouts that do not require an incline or any leg work. Featuring high density foam and boxed upholstery for a firm base, this bench is made to stand up to years of workouts. The compact design tucks neatly into a corner of any room and provides stability for core abdominal exercises and free weights. Weight limit is 300 pounds, including the user. The Body Champ Olympic Weight Bench has an attached weight rack that is compatible with most 6’ and 7’ weight bar sets. Its versatile 7-position adjustable backrest allows for multiple decline, flat, incline, and military positions for a full website. The dual-action leg developer is fully adjustable and features adjustable foam rollers for comfortable leg curl and leg extension exercises. This weight bench includes an olympic plate adapter, a spring clip for leg developer, a preacher curl pad, an arm curl bar, and an ab crunch attachment with foam grips. Weight limit is 300 pounds for the user and 300 pounds on the rack. Bowflex offers simple versatility in the Select Tech 3.1 adjustable weight bench that adjusts into four different positions (90*, 45*, 0*, and -30 degrees) to perform over 30 different exercises using your own free weights or body weight for resistance. 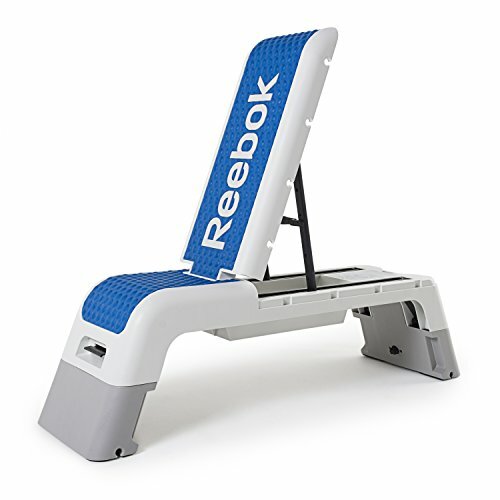 A removable leg brace provides added support during decline exercises, and the bench offers correct posture positioning for good spinal alignment during workouts. The space saving design features Bowflex’s SpiraFlex resistance technology, which translates to smooth repetitions to build lean muscle. Maximum weight load is 480 pounds, including the user. 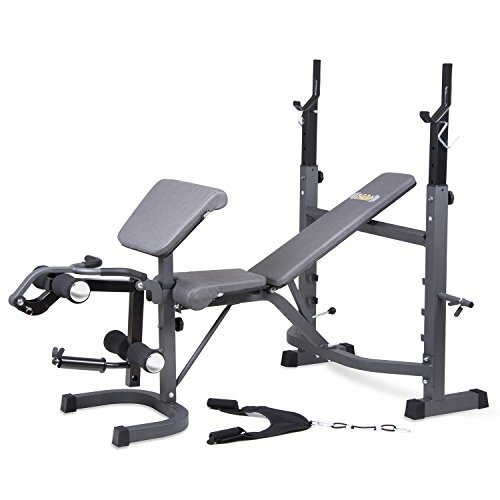 The Gold’s Gym XRS 20 Olympic Workout Bench is the complete weight bench package. Pull the independent utility bench out for free weights, stability, and core abdominal exercise, or leave it under the rack for heavy lifting. With the bench removed, you will have a large area under the rack for squats and lifts from the floor. Built-in plate storage keeps your home gym organized. The leg developer features a six-roller system for leg and glute exercises, the curl yoke helps build upper body strength, and the preacher pad allows isolation of bicep and forearm muscles during smooth, steady exercises. Maximum weight load is 610 pounds – up to 310 pounds of weights plus the weight of the user. This hard worker gives you the convenience of portability with the sturdiness of a full-size bench. Constructed of heavy, rugged plastic, you can take it with you to the park on perfect outdoor workout days or store it away in a closet when not in use. The bench has an internal compartment for storing yoga bands, hand weights, and more. The angle positioning on the pop-up top allows for incline, decline, and flat exercises, and the feet are removeable for easy storage or for use as a step for aerobic workouts. The rubber feet keep the bench stable during use of the bench, which can hold a user up to 225 pounds and 160 pounds of weights. 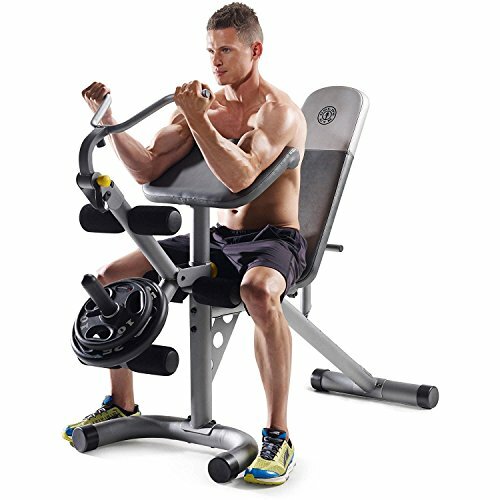 The Body Champ Olympic Weight Bench features a five-position adjustable back for incline, decline, and flat exercises to develop core abdominals. Heavy duty foam padded cushioning provides a comfortable workout while safety hooks and no-pinch leg developer keep you safe. The attached rack is compatible with Olympic weight bars and plates, which are not included. Adjustable uprights along with dual-action leg developer featuring adjustable foam rollers, and an adjustable preacher curl platform are all components of a great workout. 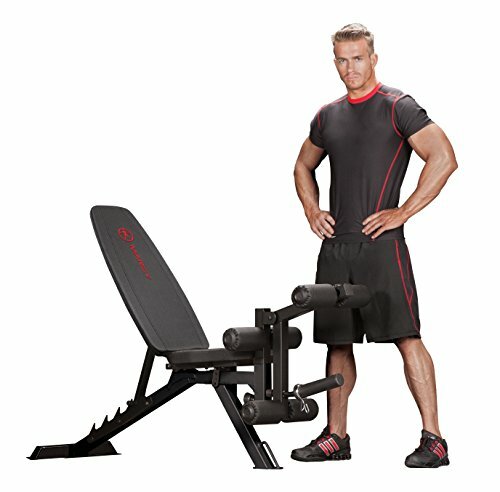 The Body Champ rack holds 200 pounds of weights and the bench can hold 200 pounds of weight plus the weight of the user. Steel Body presents a sturdy, rugged bench for your basic weightlifting needs. With six positions to the adjustable back for incline, decline, and flat exercises, you can get a full workout from one piece of equipment. The low profile of this bench gives you a sturdy base for heavy weight. This bench can accommodate up to 800 pounds, including the weight of the user, and has a handle and wheels so you can move it in and out of storage easily. The Soozier weight bench is a compact design with a handle and wheels for easy portability in and out of storage. 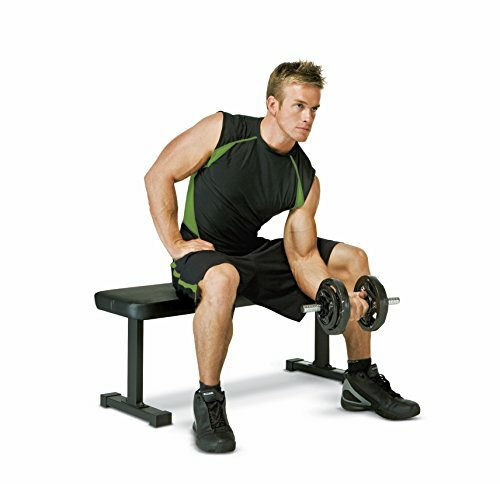 Small enough to tuck in a corner, this heavy duty bench gets the job done when it is time to work out. 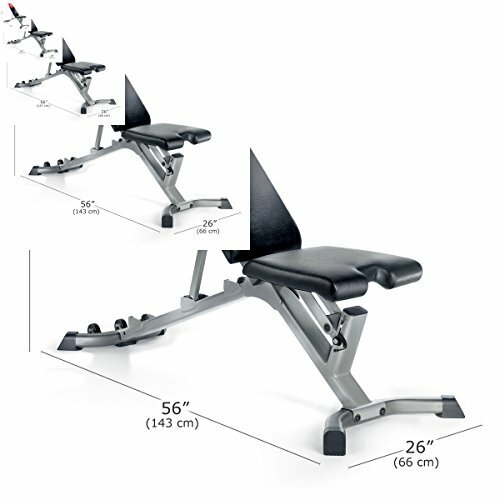 The ten-position adjustable bench includes six back positions and four seat positions to accommodate users of different heights and provide the ability to perform incline, decline, and flat exercises. The thick cushioning is firm for support, yet soft to the touch. This bench supports up to 440 pounds, including the user. This is a versatile bench with a slim profile and the added benefit of allowing hyperextension core work. Not only can you use it for free weights and dumbells, you can perform push-ups, bent-over rows, split-squats, and triceps dips. The tiny footprint of this do-everything bench is welcome in even the smallest of rooms and can be folded flat and stored out of sight in a closet. At only 42 pounds, the bench is easy to move, but sturdy enough to hold a user up to 250 pounds. Working out at home can save you time and money over going to the gym every day. 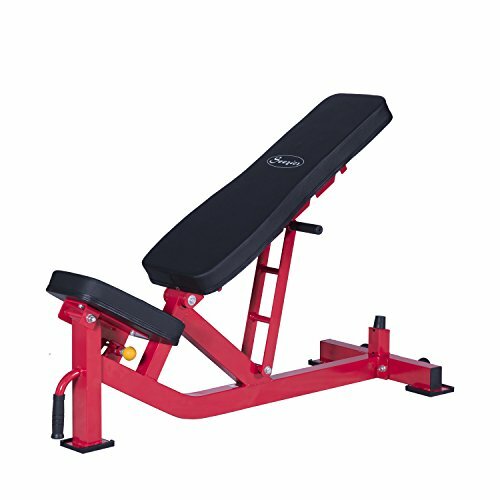 Decide which of these weight benches will work best for your needs and enjoy your daily workout routine!